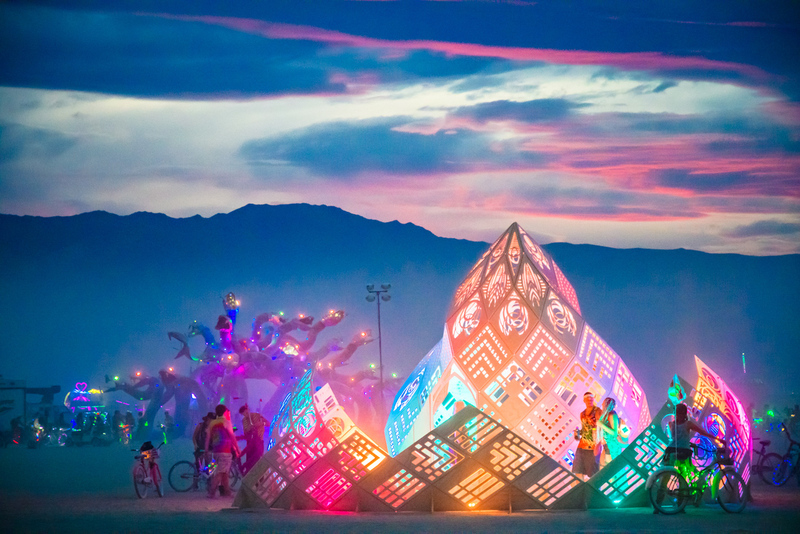 Burning Man is the most dynamic, large-scale immersive art experience in the world. 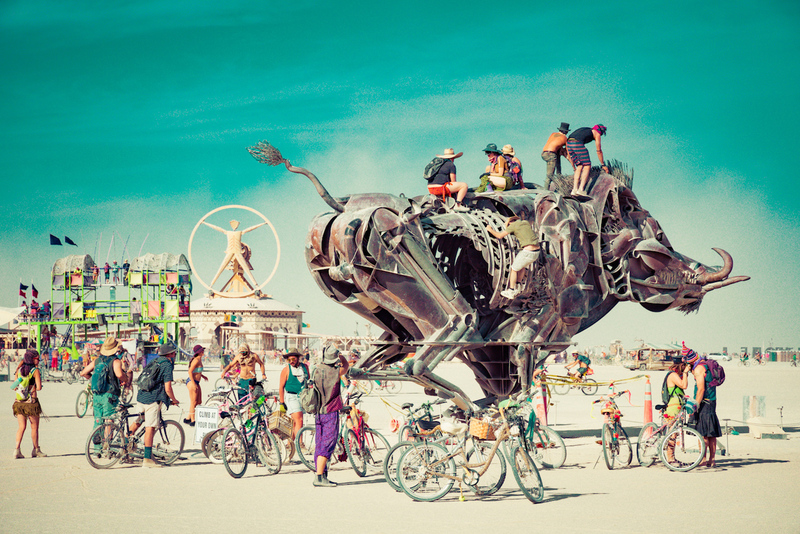 The art of the Black Rock Desert takes many forms from cutting-edge musical performances to mighty mutant vehicles. 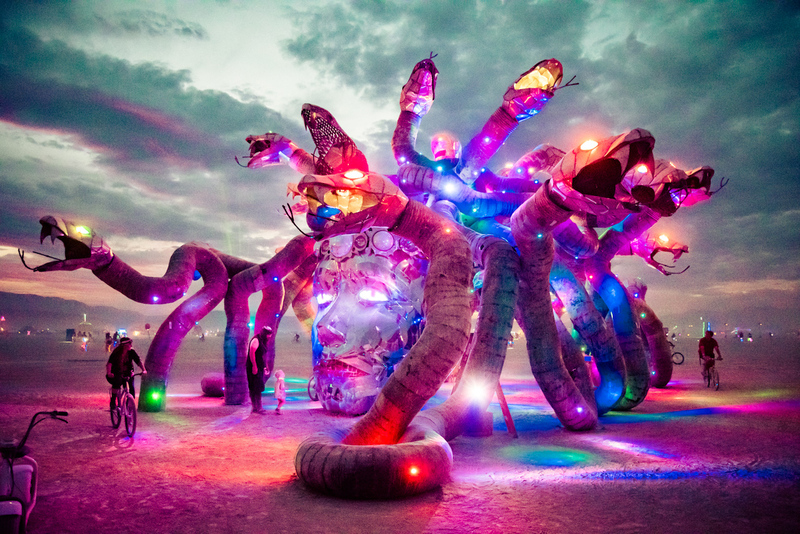 Attendees experience light art, performance art, lavish costumes and zany interactive experiences. 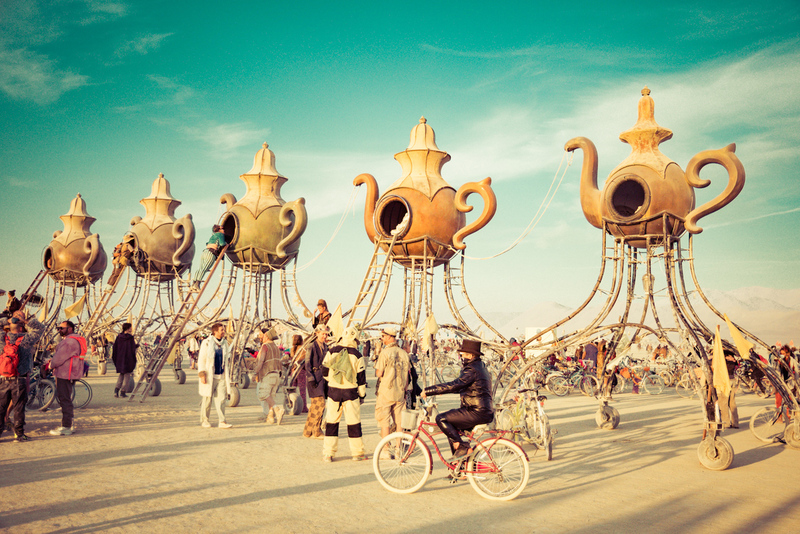 But perhaps most famous are the iconic large installations that grace Burning Man’s expansive playa. 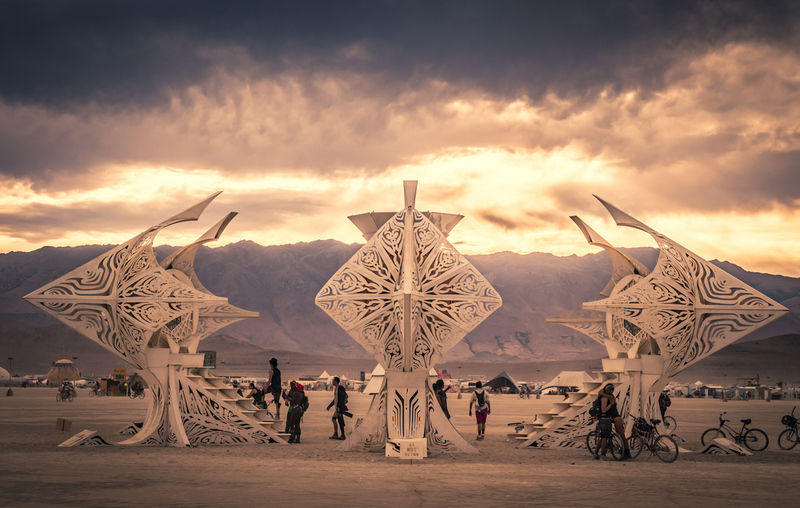 Each year veterans and newbies alike eagerly await the massive landmarks that rise out of the flat expanse of the ancient lakebed. 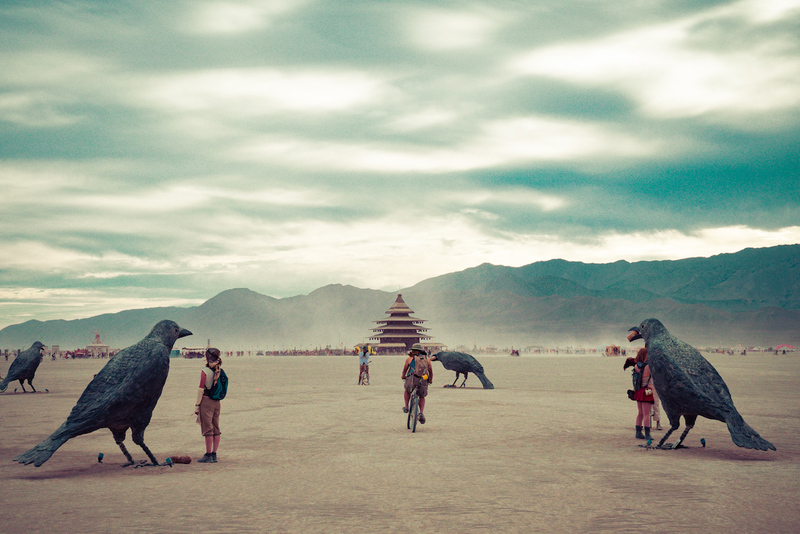 Towering monoliths emerge from dust storms like stalwart sentinels and transform entirely from day to night. 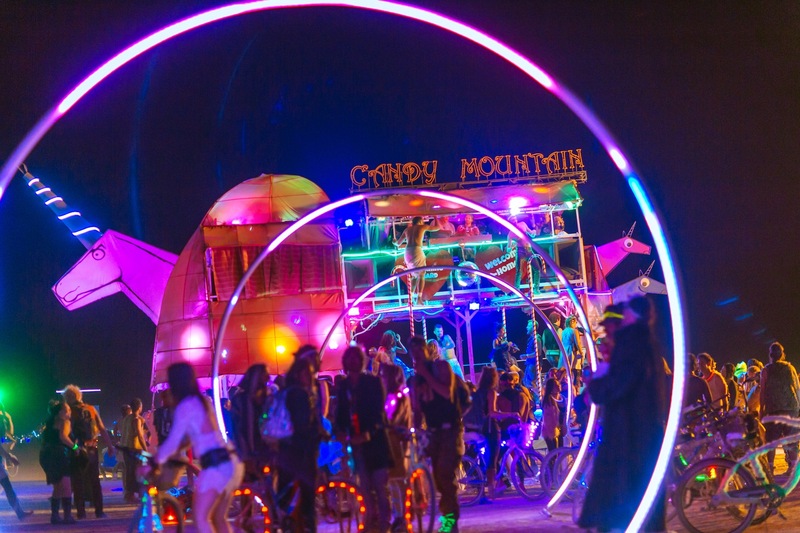 They play host to art car parties, weddings, photo shoots and introspection. 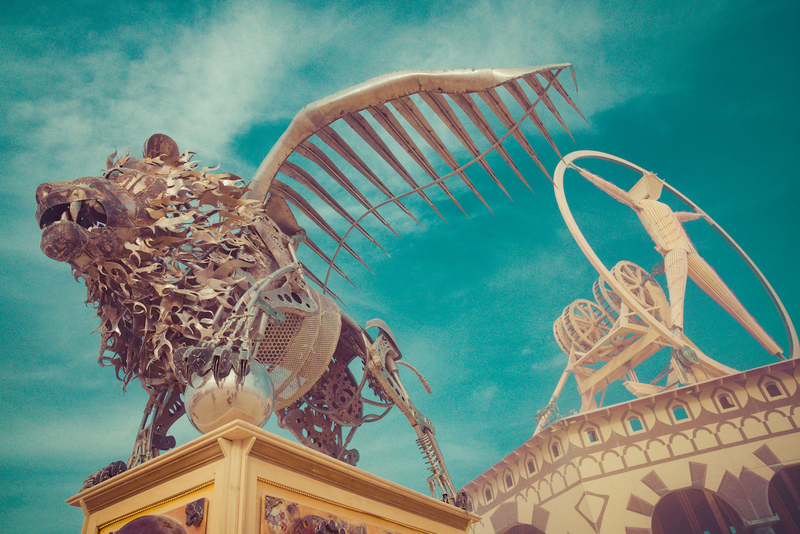 In harmony with the annual theme, they give the city a unique flavor every year. 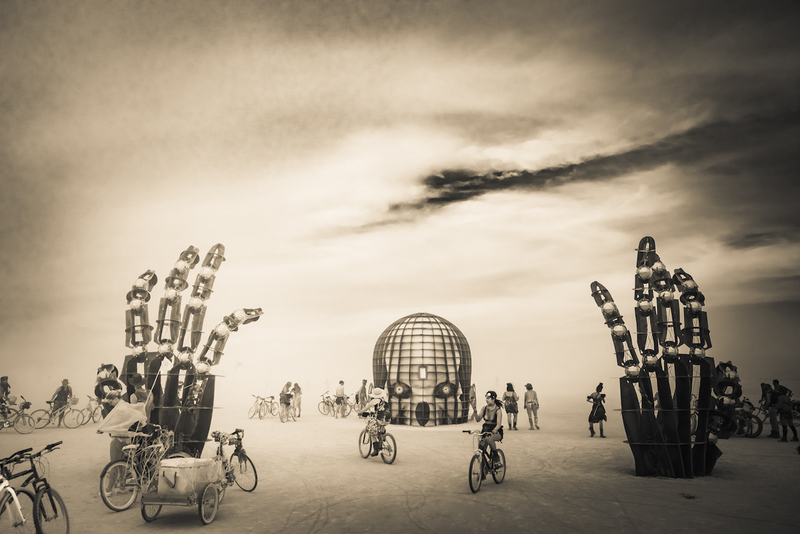 The Burning Man Project offers Black Rock City Honoraria grants to art pieces as well as tickets, direct ticket sale access and early arrival passes to build in the city. Even so, their ambitious designers and teams spend the year fundraising online and hosting parties. 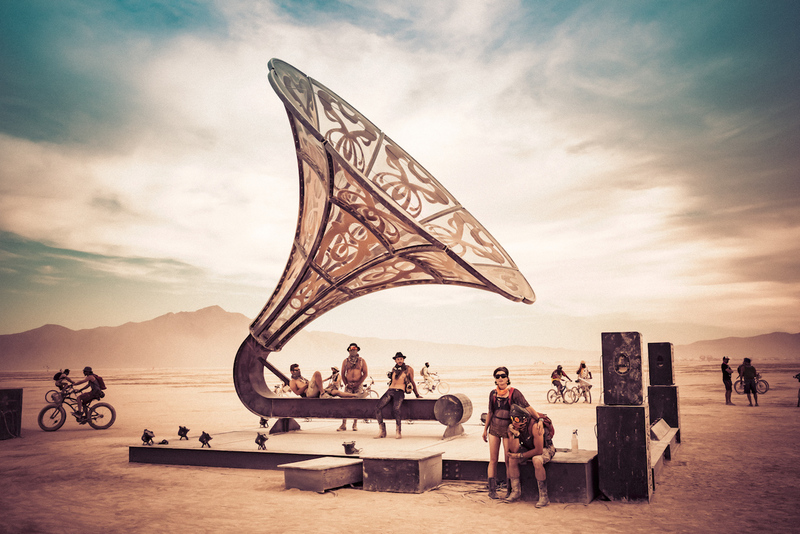 These fundraising efforts are often incomplete even when the Burn ends, so if you loved a particular piece on the playa, they are likely still trying to get their funding needs met. You can still be a patron! There are always a few select pieces in specific locations in the city. 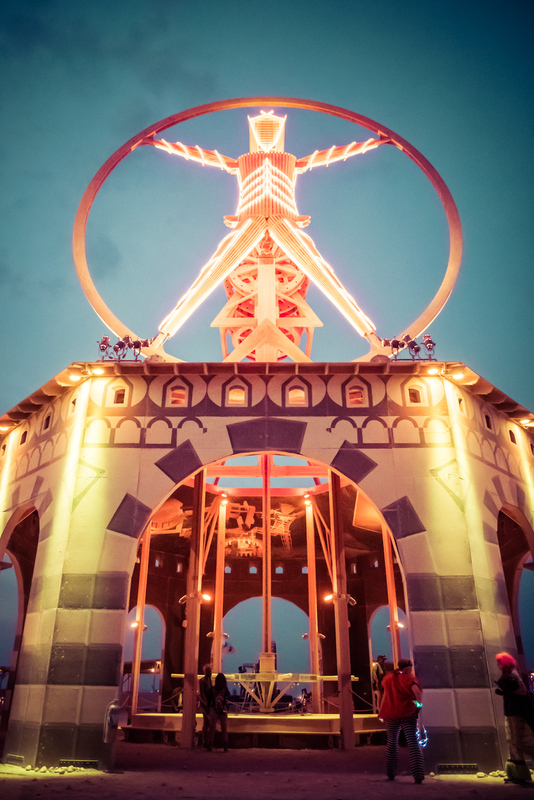 The Center Camp keyhole holds a special place as the gate to the playa. 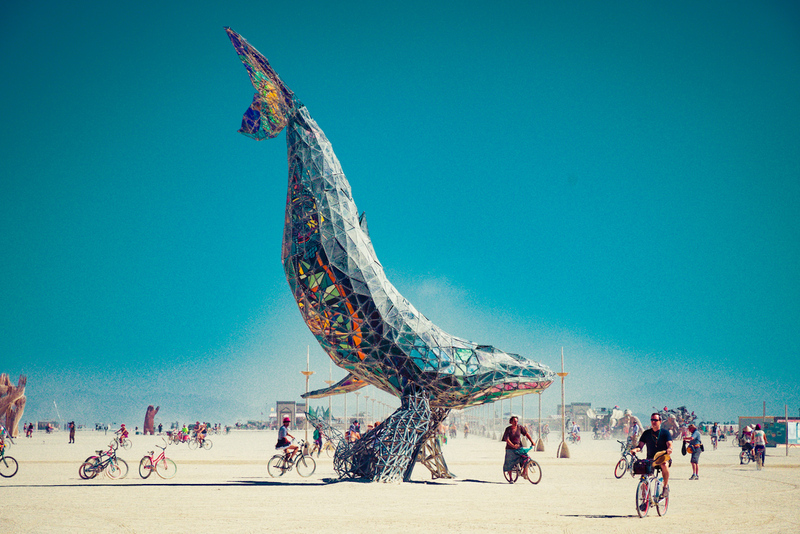 This year the Space Whale, a mighty stained-glass mammal held the 6 o’clock spot. 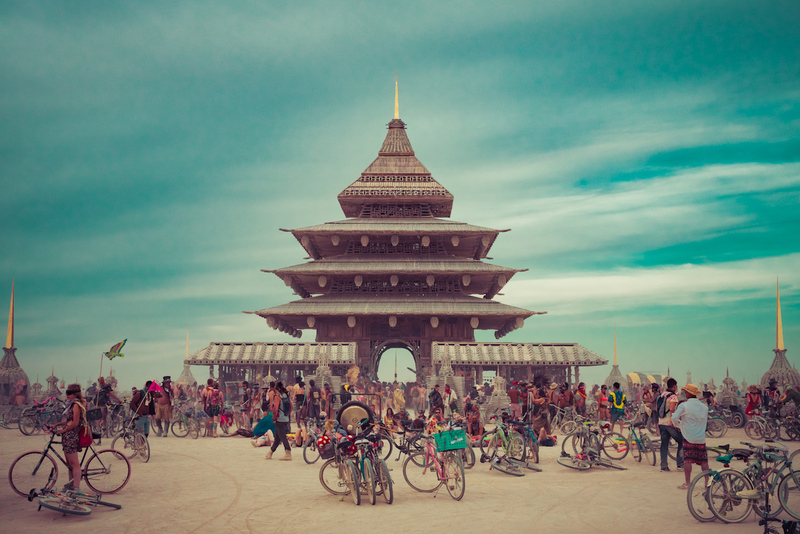 At 12 o’clock the Temple offered a place for grieving and reflection. 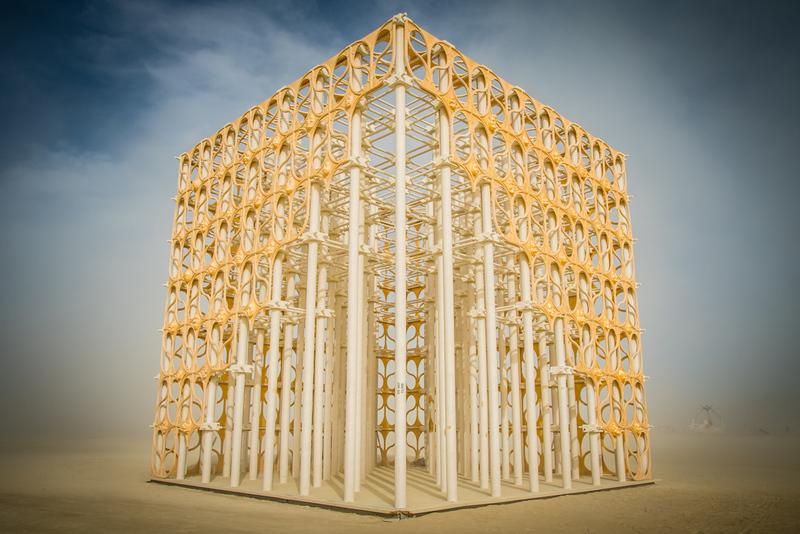 This year it was simply called “The Temple” and was designed by David Best who has created 15 Temples over the course of Burning Man history. 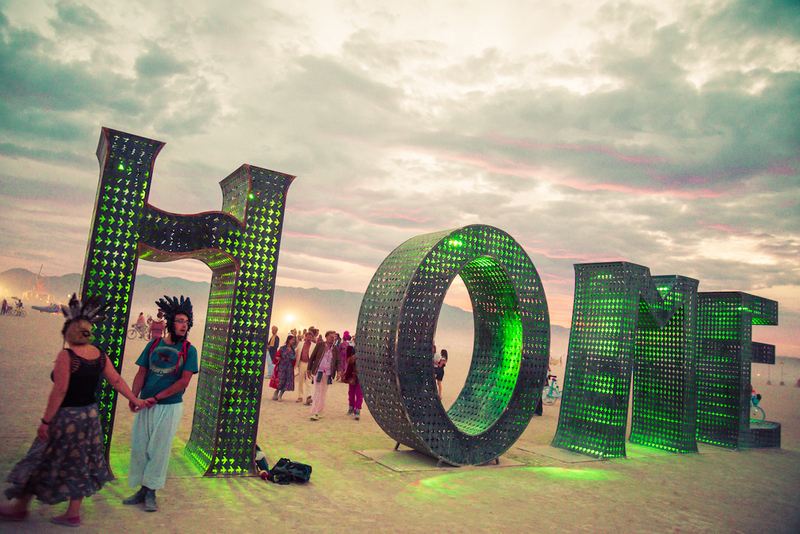 As always, the iconic Man emphasized the year's theme and formed the center of our world. The Man was designed to evoke Da Vinci’s Vitruvian Man, but did not rotate as intended. 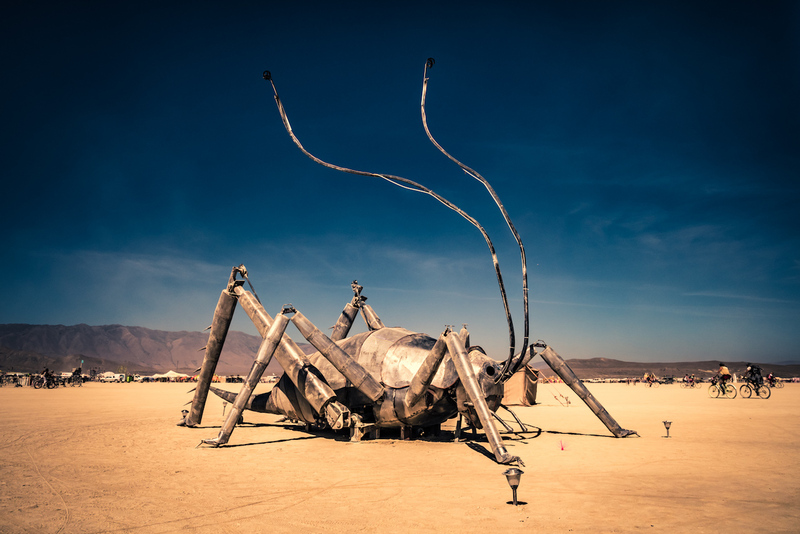 It should be noted that things going wrong during Burning Man construction simply emphasize the herculean task of building in such an inhospitable environment. I’ve personally always found incompletion, mistakes and fiascos to be a noble sign of our struggle against our environment. 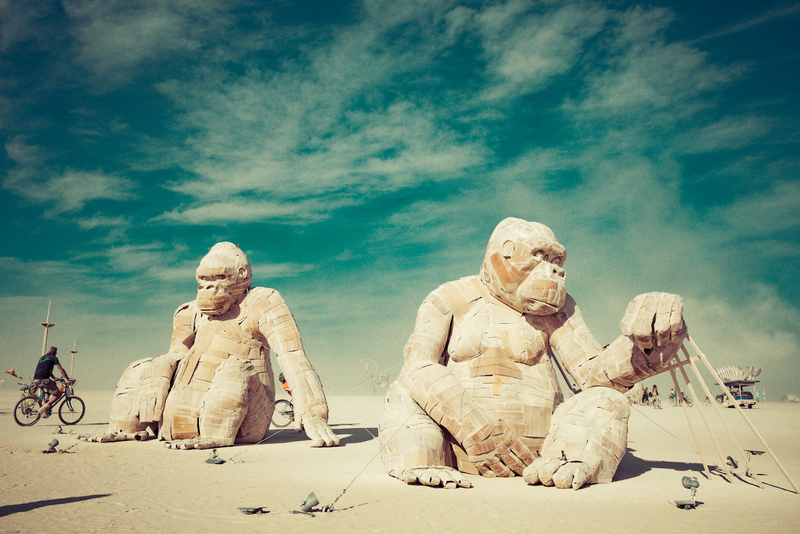 Some installations are dismantled, packed up and transported to begin a new life in some other playground. Others are burned towards the end of the week in honor of the immediacy and temporal nature of the event. 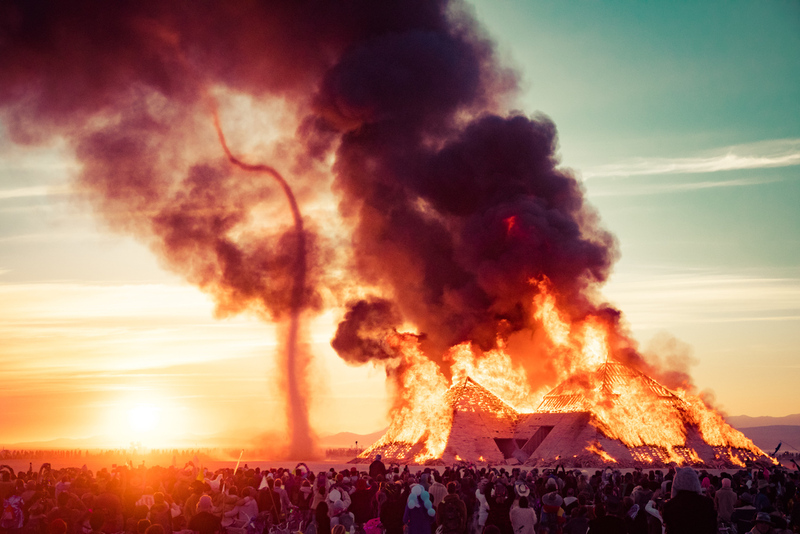 The massive Catacombs of Veils, though ultimately unfinished, delivered an incredible burn early on Friday morning, producing “twister sisters” as the sun rose over the desert. What a treat to have some cloud cover as we rode our bikes home. 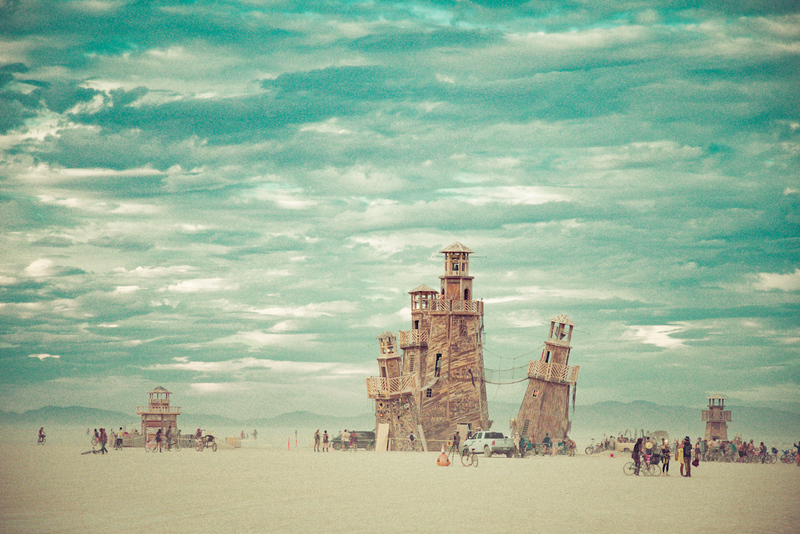 The Black Rock Lighthouse, a trusty guide during the week, blazed away after the Man burn early Sunday morning. 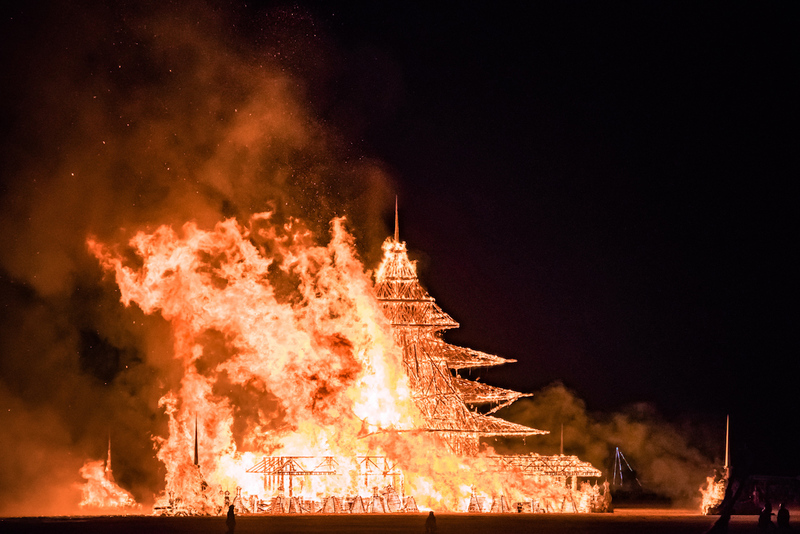 I was honored to watch those lighthouses ignite with my Fest300 colleague Emily Ward who was part of the build team. 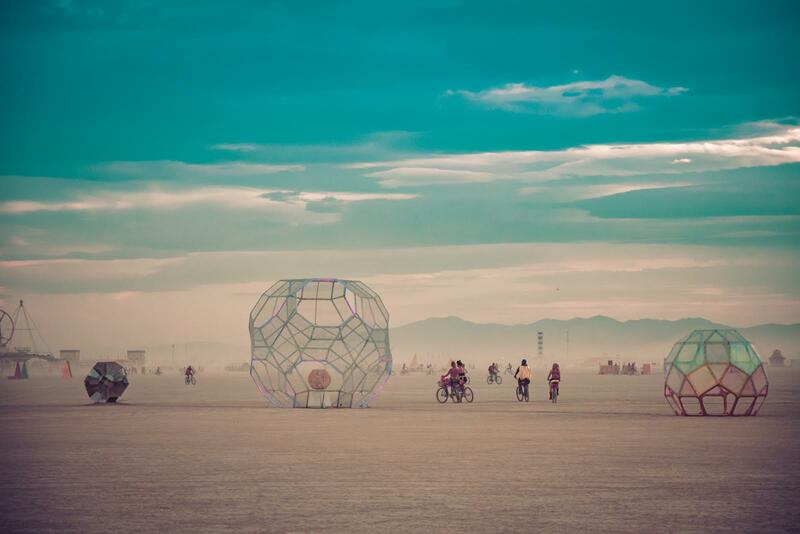 With one exception, the images below were all capture by our friend Andrew Jorgensen. Andrew is a wizard behind the lens who continues to amaze us. 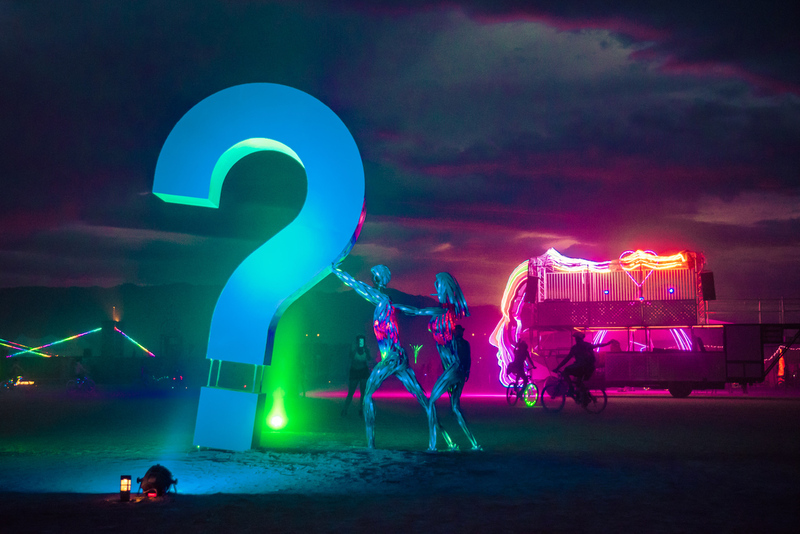 He’s been shooting events for over 10 years and is on the in-house media teams of major commercial festivals like Coachella and Bonnaroo and alternative events like Envision, Lightning in a Bottle, and Symbiosis Gathering. 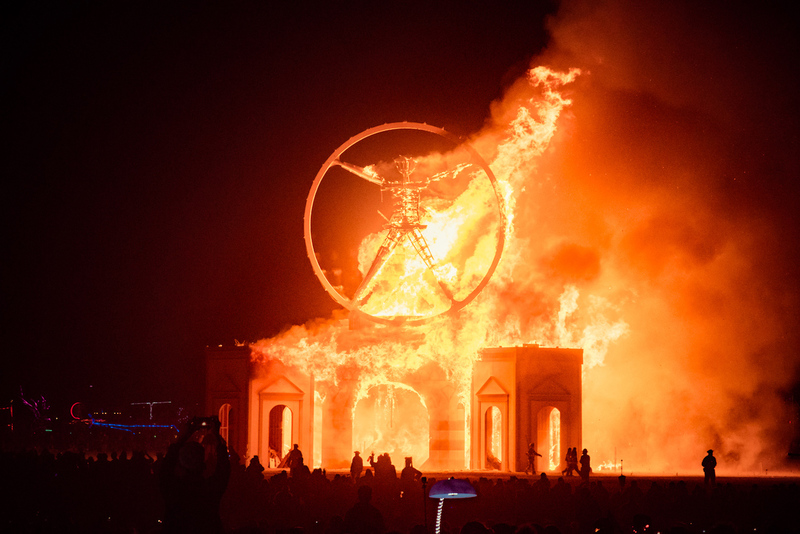 This was his second burn and as ever, the scope of his vision inspires us. 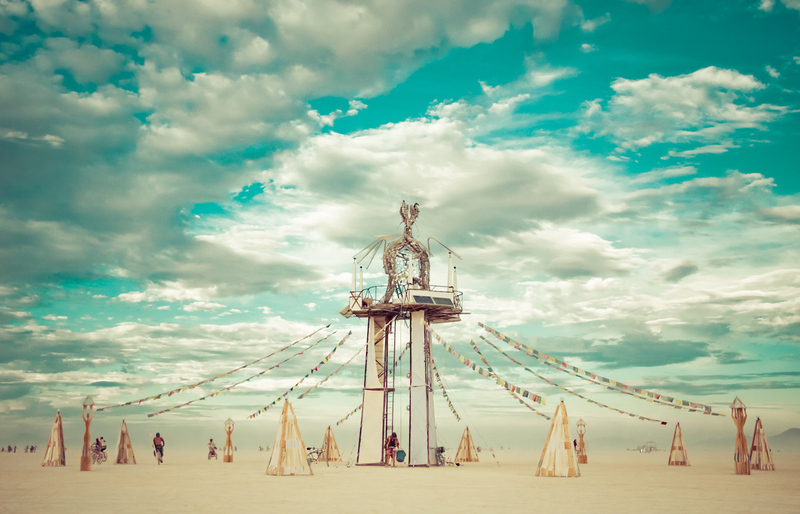 We added one shot of the beloved Sonic Runway by our friend Galen Oakes, a sample of his equally impressive gallery 50 Fairytale Photos of Burning Man Magic and a fitting place to end our list. 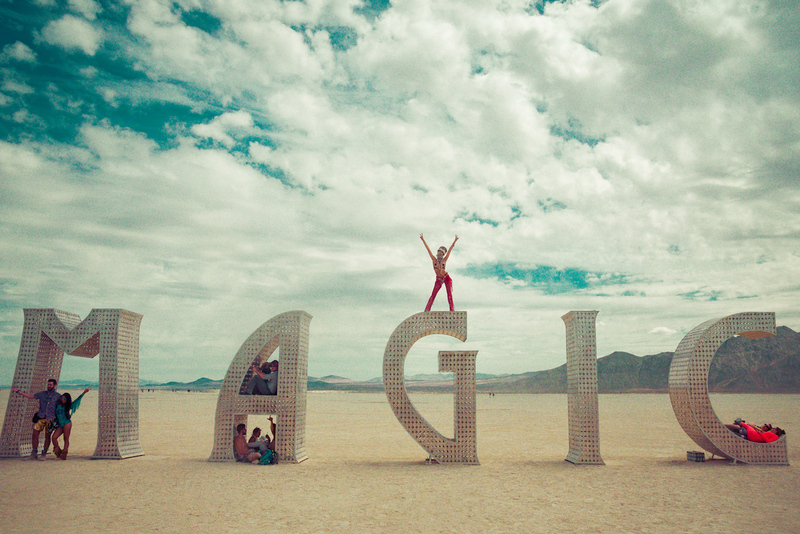 What was your favorite piece on playa? 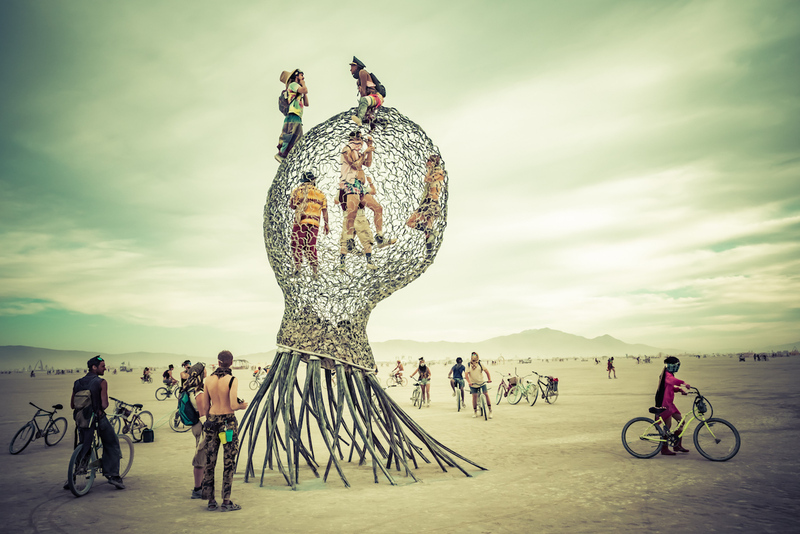 Did you create art out there? We’d love to see photos of other pieces (and if possible, their names) in the comments below.